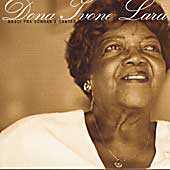 Dona Ivone Lara - "Nasci Pra Sonhar E Cantar"
Original beat of samba in traditional style, from the samba schools of the 40s and 50s. Sound of the "Império Serrano", the Madureira samba school that 80 year old lady Dona Ivone Lara founded. The power of her songs lies in its ordinary language and a style that goes directly to the heart of the matter.